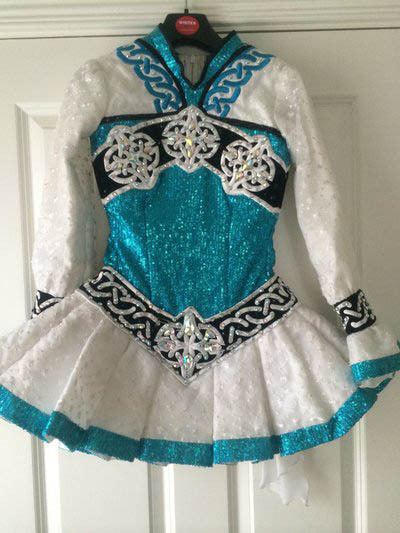 Stunning Elevations dress made in September 2013 dress is in excellent condition only selling due to growth. 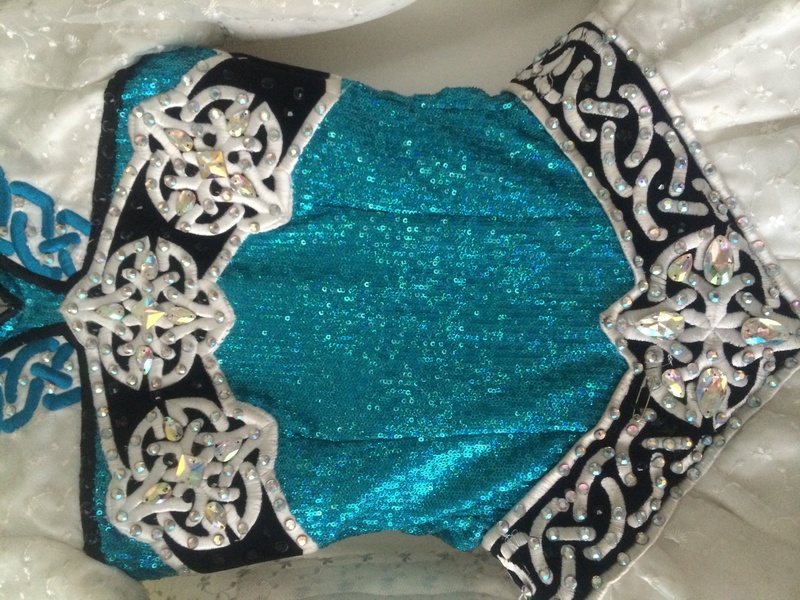 Dress is has sequins bodice with Celtic design band around chest, waist and arm bands. 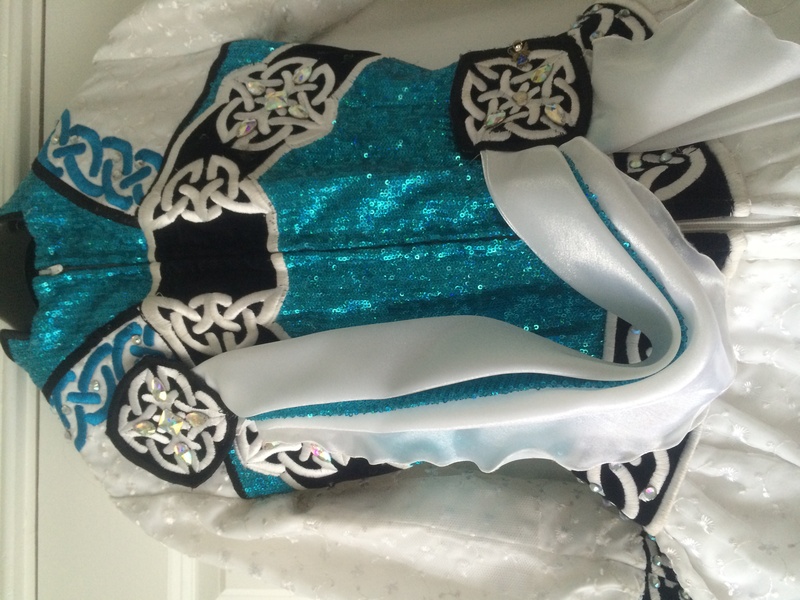 White fabric has a pattern on material. 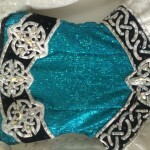 Celtic design is also on shawl.